Despite the achievements, the victory in the fight against African swine fever in Belgium is still far from complete. In the Eastern part of Wallonia (province of South Belgium), the number of infected wild boars reduced, and in the West, right on the border with France, the virus is still spreading. The Walloon government has developed a plan to counter ASF, consisting of four paragraphs. First, it will increase the shooting of wild boars. This will involve hunters from the affected areas, and will be assigned additional hunting days. Second, the planned simultaneous hunting several hunting groups. This initiative, however, has drawn criticism from hunters themselves, such as when hunting there is a risk of accidental exposure in man. 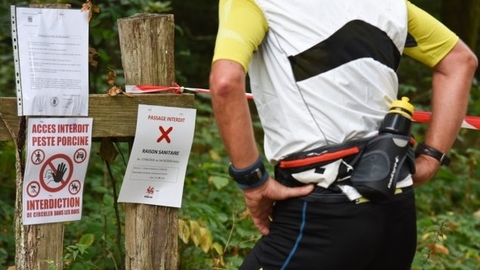 The third measure is the 15-kilometer fence to prevent wild boar crossing the Franco-Belgian border. The construction of the fence will begin this week. The fourth paragraph provides for setting traps for wild boars. According to experts, it is not easy task, so how to lure animals out of their shelters. The situation is complicated by the fact that the district is not allowed to use dogs. As bait it is planned to put food in open space.